I have been hearing about mug cakes for a while now. The pictures on Facebook, Instagram and Pinterest always look delicious. And the part about this cake I was most excited about was that they are single servings. This means less guilt for me especially if I end up sharing with my kids. I knew I wanted to make a mug cake but I wanted it to be something I did with the kids. So I added it to our activity sticks “special treats” list. It got chosen a few weeks ago and it was a great recipe to make with the kids. 1. 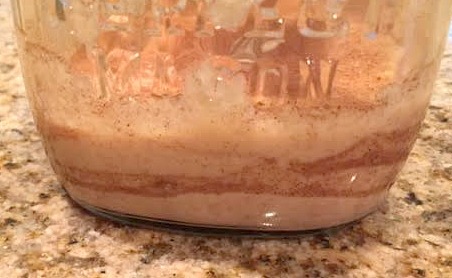 Combine topping ingredients in a small bowl (1 TB sugar and 1/4 tsp cinnamon) and set aside. 2. 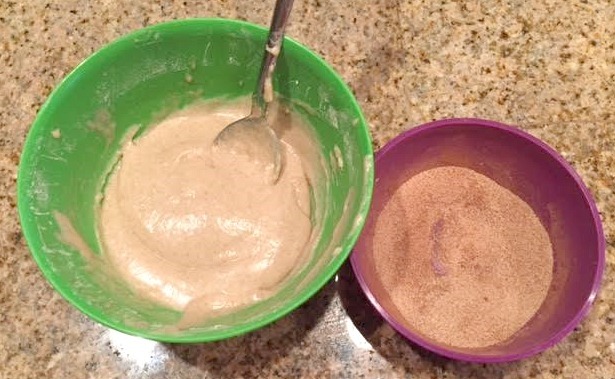 In another bowl first combine the dry ingredients (flour, sugar, baking powder, and cinnamon) and mix. 3. 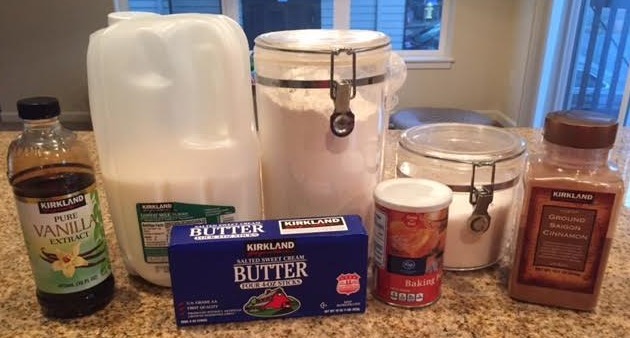 After the dry ingredients are combined add in the milk, butter and vanilla until smooth. 4. 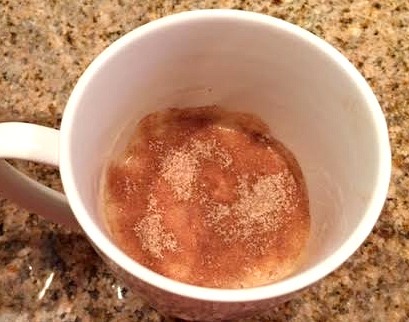 Grab a microwave safe mug (I used mugs and a mason jar so I could see the layers after it was baked) and layer a big scoop of batter and sprinkle with a layer of the cinnamon sugar topping. Repeat 2-3 more times. 5. Microwave for 1 to 1 1/2 minutes. 6. Let cool for a minute or two. Now enjoy your delicious mug cake. It was so easy letting the kids help with this recipe. I measured out everything and let them pour the ingredients into their own bowls. Then they also mixed the ingredients and I helped layer. I cannot wait to try out next mug cake recipe! Don’t forget to check out which of the activity stick activities we have done. Have you put your activity sticks together yet for summer? It would be such an easy way to have ideas always on hand. 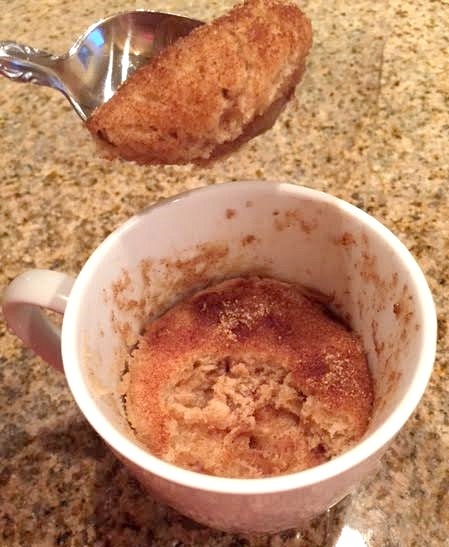 Have you tried any mug cake recipes recently? Did you like them? Let us know what they were in the comments below!